Hey guys. It's me BlazingFireOmega. I'm just a sprite artist of the sorts. Enjoy yourself to this growing gallery of mine. Last edited by BlazingFireOmega on Mon Mar 06, 2017 6:20 pm, edited 18 times in total. I suggest that you try to scale down the gifs a little. And, try not to use attachments. They dont look pretty when it comes down to an image. Very promising work thus far, really excited to see more. 1. You pillow shade a lot, which doesnt jibe well with the black outlines. Try to avoid pillow shading at all costs. 2. When animating, make sure that there is one consistent flow. For your Zero idle all parts move seperately whch makes it weirdt o look at (the back shoulder pad also remains completely stationary). Thank you guys for picking a character in the poll. The winner is Waluigi. As I animate this character, feel free to respond to my next poll coming right up! Thanks for the feedback. 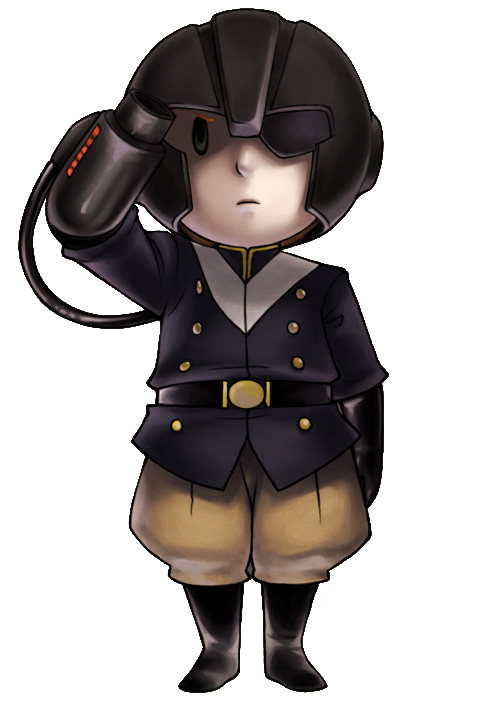 I'm kinda new here on the forums, so I don't really know how to upload images without attachments. Any help would be appreciated. Well if you upload the sprites to a different website (like imgur or deviantart), you could copy the image link address and use [img]imagelinkhere[/img]. I'm currently making the sprite as I type this. 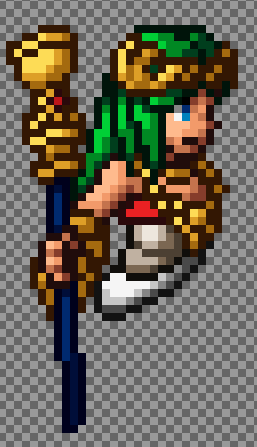 Palutena is packed with quite a lot of detail, and I expect to put as much detail as possible. Once again, as I make and animate an idle, Feel free to choose another character on my next poll coming up! I'm noticing the choices people picked from the last poll have carried over to the current poll. Anyone know how to fix this? THREE HOURS. ONE FRAME. LET'S GOOOO!!! That's some really nice work, man! Keep it up! Thank you! Means a lot. 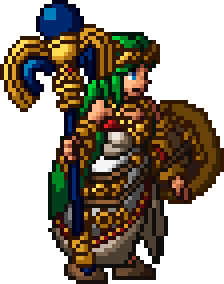 Speaking of Palutena, the idle animation is finished! It's not as good as I thought it would be but it looks good enough.